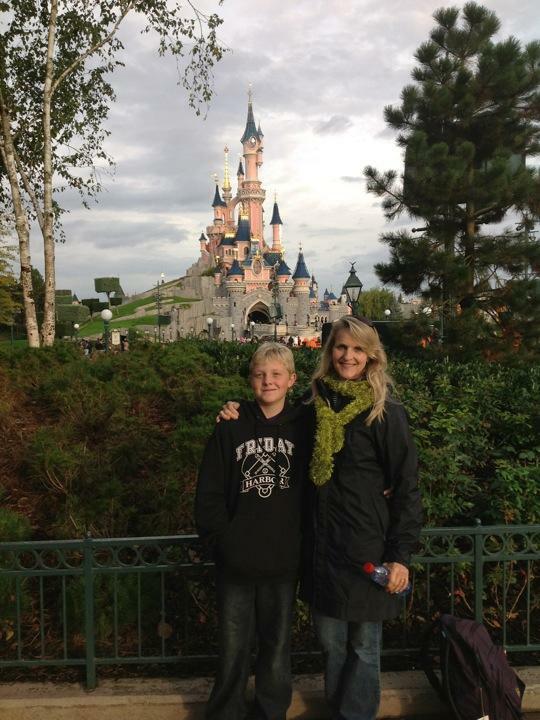 Today we went to Disneyland Paris which is about an hour out of the city. The park was amazing! The rides were like the rides in California, but with some differences. The most obvious difference was that the characters spoke French! My favorite ride was Space Mountain. It was way better than the Space Mountain rides in California and Orlando. In this ride you go through a full loop in the dark and a corkscrew. The rest of the park was nice too. Lots of trees and flowers and people from all over Europe. It looked like everyone was having a great time. The weather was perfect and sunny right up till the end. The minute we went through the turnstile to leave, it started raining. It was perfect.